Once upon a time, artist Scott Gustafson set out to illustrate classic stories, fairy tales, and nursery rhymes. Decades later, his immediately recognizable paintings have made bestsellers of Peter Pan, The Night Before Christmas, Classic Fairy Tales, and Favorite Nursery Rhymes from Mother Goose. 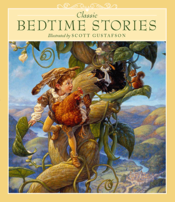 Now he gives us Classic Bedtime Stories, a lavishly illustrated, oversized collection of some of his favorite tales. Stories such as Sleeping Beauty, Jack and the Beanstalk, and Sambha and the Tigers leap off the page thanks to Gustafson s exquisite paintings and lively retelling of these classics. The Lion and the Mouse and The Country Mouse and the City Mouse demonstrate his talent at creating uncanny anthropomorphic characters who keep us smiling even as they teach us about tolerance, diversity, and the Golden Rule. A book that even adults will enjoy reading aloud again and again, Classic Bedtime Stories will keep youngsters of all ages engaged for hours. Gustafson s unique style makes this a volume to be cherished by children, parents, and grandparents for generations to come." Outside the world is bright and colorful, but Lydia's family is too busy with their gadgets to notice. She says Hello to everyone. Hello? Hello! Her father says hello while texting, her mother says hello while working on her laptop and her brother doesn't say hello at all. The T.V shouts Hello! But she doesn't want to watch any shows. Lydia, now restless, ventures outside. 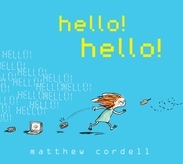 There are so many things to say hello to! Hello rocks! Hello leaves! Hello flowers! When Lydia comes back home she decides to show her family what she has found, and it's hello world and goodbye gadgets! 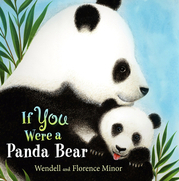 If You Were a Panda Bear, by the author Florence Minor and her husband, the illustrator Wendell Minor, isn’t all about pandas. In brilliant colored gouache, with soft, fuzzy, furry detail, the Minors, who live and work in rural Connecticut, depict 10 kinds of bears enjoying their natural environments. Seen with their cubs, hunting, napping or moongazing, these bears range from the familiar polar bears and black bears to sun bears, sloth bears and moon bears. A simple narrative, again in rhyme, gives a few facts about each bear, supplemented by a list of more earnest “Bear Fun Facts” at the end of the story. All the bears, even the impressively tall grizzly, look friendly, and the 10th bear — shown in his home environment, among other toys in a cozy chair, is, like this beautiful book, clearly a good bedtime companion. Jim Gill's book begins with the first four lines of a traditional Russian folk song. The rest of the book is filled with thoughts children have shared during Jim's concerts throughout the country. Oil paintings by Susie Signorino-Richards capture the simplicity and beauty of both the song and the children's ideas.Bottom of Form. 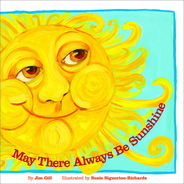 Jim Gill is an author and musician with unique credentials among children's artists. Each of Jim's books and recordings is created as an opportunity for playful interactions between a child and a caring adult. Watch out! 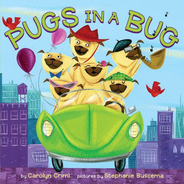 Pug puppies are taking to the road in this catchy canine counting book. Six pudgy pugs in a zip-zoom Bug. Beep, beep! Bow wow! Take a spin! Through country and city, from desert to beach, this rhyming, rollicking, chantalong book offers plenty of sights to see and count. Sheepdogs in their jeep, greyhounds in a bus, even bulldogs driving cabs! Award winner Carolyn Crimi and rising star Stephanie Buscema invite kids to read it loud, read it often, and read it silly. Inside my boots I've got toes,and beneath my scarf is a... Baby is bundled in a mountain of clothes! 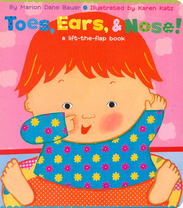 Peek under the flaps of clothing to find out what's underneath, and play this fun peekaboo book again and again!